Intex has finally launched its latest flagship smartphone the Intex Aqua Octa core. It is the India’s first smartphone that comes powered by 1.7GHz 8-core MT6592 processor paired with 2GB of RAM. The handset comes with vigorous specs, specially at this price tag. There is no doubt, the Aqua-Octa will perform much better than quad core phone. It will compete / VS with Micromax Canvas Turbo, Gionee Elife E6, Aqua-i7 and Gionee Elife e7 mini. All the above devices has less features than the Intex Octa but comes at similar price range. 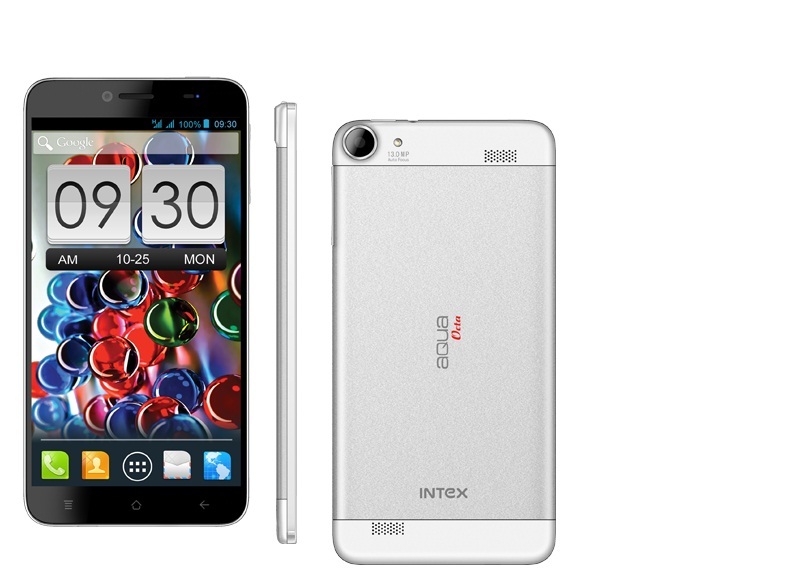 Intex Aqua Octa comes with a 6 inch 720p HD display and Android 4.2 operating system. It packs with a 13-megapixel shooter and 5megapixel front cam to please the users while clicking images. You can record full HD 1080p videos at 30fps from the handset. Another cool thing about the smartphone is its loud speakers. It has dual Yamaha 1420 speakers of 1.2W. Also it is just 7mm thick and weighs 180 grams. It has 3G, WiFi, Bluetooth, a-GPS and micro USB with OTG support. For better graphics rendering and to get stunning benchmark scores, the company has integrated 2G ram and Mali 450 Mp4 GPU. It has 16GB of in built memory and houses 2300mAh battery. The handset is already available on snapdeal for INR 19,999. It is available in White and Black colors. Before the launch it was named as Aqua-i17. Overall the Intex Aqua Octa is a great handset and should perform well in the market.